Wave goodbye to the Miami University Hurricanes. 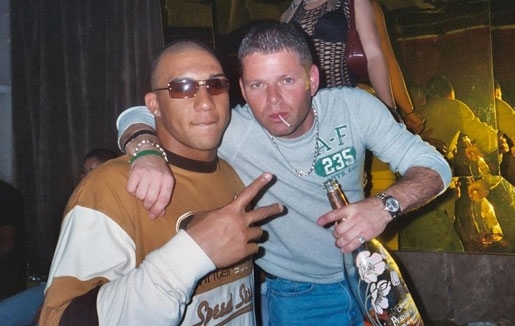 Nevin Shapiro, aka Lil Luke, gave 72 Miami University Hurricanes impermissible benefits worth hundreds of thousands of dollars, and he’s telling all in a jailhouse interview with Yahoo Sports. Shapiro, a longtime Miami booster and co-owner of Axcess Sports (a sports agency), funded parties full of hookers, gave illegal trips to his house and on his yacht, and even paid for an abortion for a player. If you thought USC, Ohio State, and Auburn had problems, you ain’t seen nothing yet. Here’s the evidence handed over to Yahoo! Sports to prove Nevin Shapiro’s statements: 20,000 pages of financial and business records, 5,000 pages of phone records, more than 1,000 photos, documents from Shapiro’s various court cases, and over 100 interviews were also conducted with individuals living in six different states, including nine former Miami players or recruits and one former coach. How many times is Miami University going to get caught breaking the NCAA rules while displaying a complete lack of institutional control as a university before the NCAA says enough and just gives the Hurricanes the SMU Death Penalty? Granted, current coach Al Golden had little to do with the carnage, but 12 of the players on his team have spent time with Shapiro on his yacht or at his prostitute parties, so it goes without saying that there’s nothing The U can do to save themselves right now.